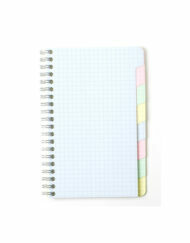 Clairefontaine Wirebound Multiple Subjects keep your notes organized with colored tabs. A favorite with writers! 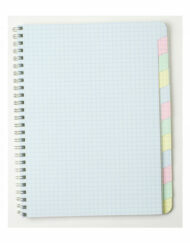 Each book has Graph pages in light pastel colors: blue, pink, green & yellow blank index tabs. 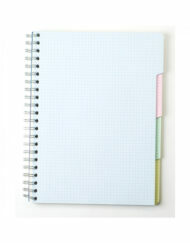 Note: All Clairefontaine notebooks are packed in France in assorted colors. Sorry but we can not specify color choice.